Honoring MLK: Activism then vs. now. 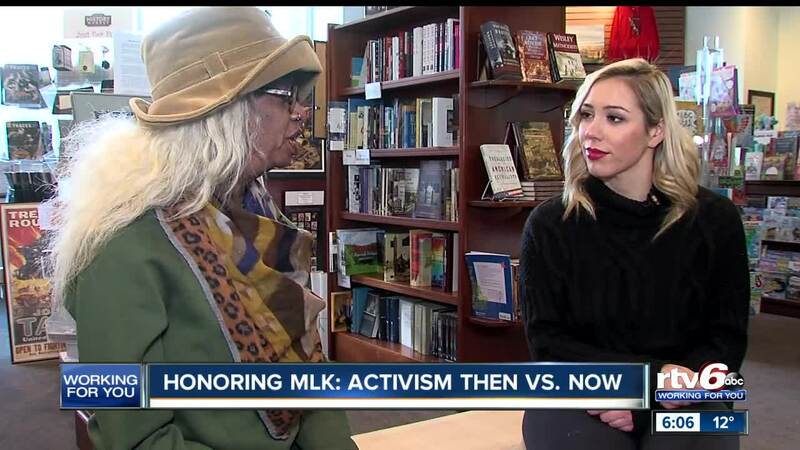 INDIANAPOLIS — Today we honor Dr. Martin Luther King Jr. RTV6 talked to people who were alive during his time and say, in today's day-and-age, we could really take a page from his book in history. Some of us learn about his legacy in the history books, others felt it first hand. Growing up, Vanessa Owens says Dr. King Jr. was her role model. "I was never in the same room, never touched him, but the power of his presence was just felt all over the world," Owens said. A civil rights figure known across the globe, no doubt. "In America today, I'm able to talk to a white man because Dr. Martin Luther King stood and paid the price," Owens said. "I can walk in the streets of America today with dignity." His message of togetherness, some feel, needs to be included in today's activism. Where, they say, division by race and socio-economics still exists and even more divisiveness remains. "He tried to tear down walls, not build walls," Owens said. "He wanted people to be together and that's something to aspire to every day." They're calling on the need for strong, young leaders — willing to be relentless, but not hateful or combative in refusing to finding common ground. A heart full of grace and a soul directed by love. In the words of Dr. King himself, you only need "a heart full of grace and a soul directed by love." Words that resonate now more than ever.